If you look at the image above, it is hard to imagine that this Daihatsu Cuore has not been rolled over. 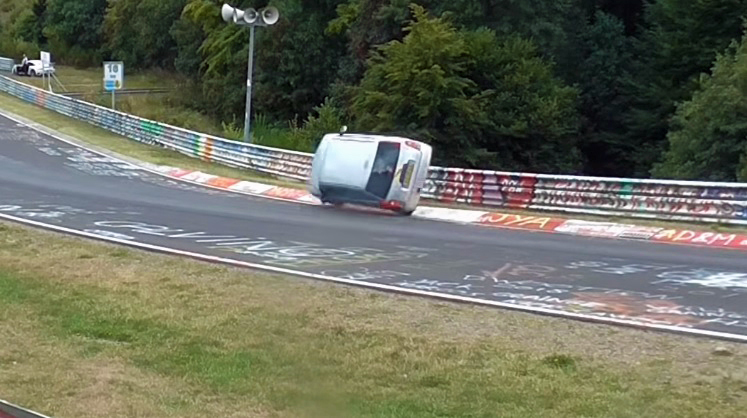 This must be the save of the year on the Nordschleife!The two videos below show that the Daihatsu Cuore had to deal with versteer, causing the high curbstones to be hit on the inside. Because of the momentum that the little Cuore had the car got two wheels in the air, but the driver knew how to prevent a role and landed the car back on the wheels!